On Sunday night, I found myself on the J train headed to Chinatown to celebrate the 95th birthday of documentary film legend George Stoney. 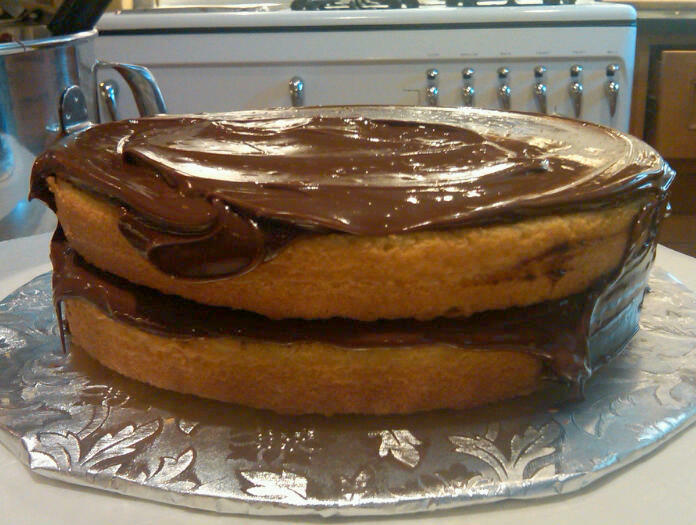 Of course, I baked a cake. 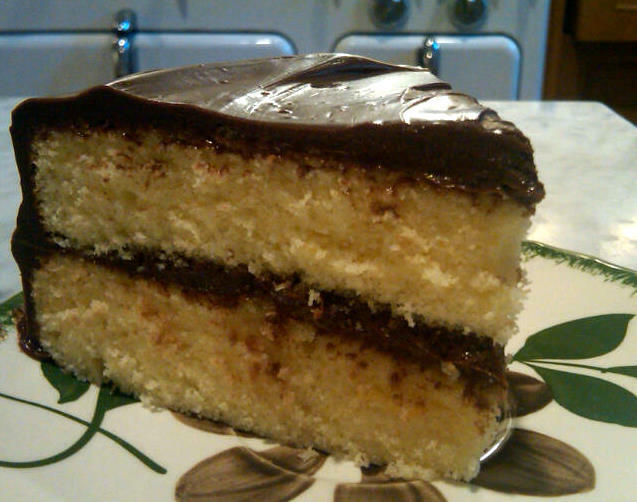 Even though this a yellow cake, it's called a chocolate layer cake. (Didn't they think anyone would notice that it's not chocolate??) The recipe is from my very first childhood cookbook which is old enough to "qualify" for my blog. This is one of those old-fashioned, delicious cakes that's a snap to make because nearly all the ingredients are simply placed in the mixer and, well, mixed all together. No need to follow a lot of complicated steps to get a wonderful result. Butter, flour, milk and vanilla are mixed together to form the batter. Two eggs are added later. 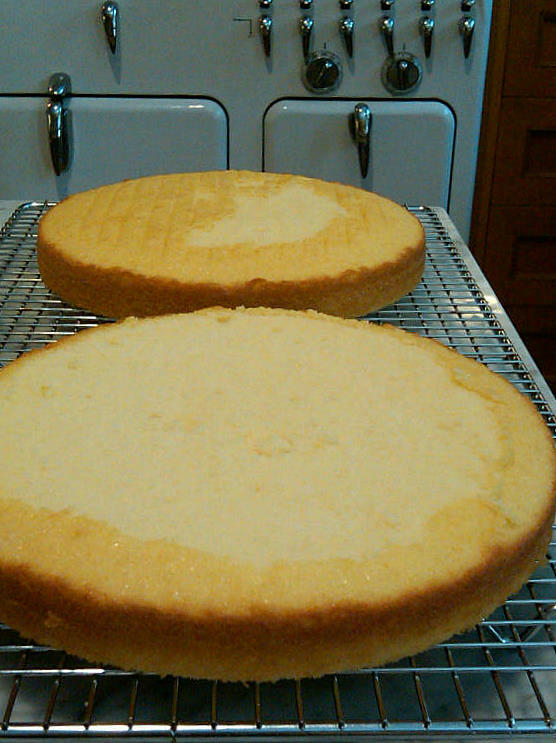 Like many cakes, this one forms a dome when baked, which can make for a lopsided looking confection when frosted. So to get two flat-top layers, simply take a serrated knife and carefully slice off the dome of each cake, keeping your knife parallel to the cake layer. the one in the foreground has had its top sliced off so that the top of it is flat. George's birthday party was a lot of fun. There were many people, several of them former students, eager to sit with him for a few moments. (I think he still teaches at NYU!) He held court, surrounded by his fans, friends and fellow filmmakers including Albert Maysles (Grey Gardens, Gimme Shelter). During my few moments with George he told me that when he worked at Henry Street Settlement (my current place of employ) in the 1930s, Lewis Hine taught photography there. 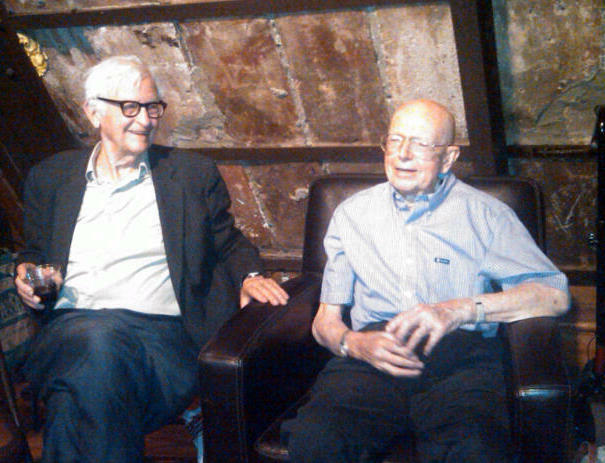 George and I had exchanged a number of emails prior to his party and have plans to spend some time at his apartment as he reminisces about his time at the Settlement. 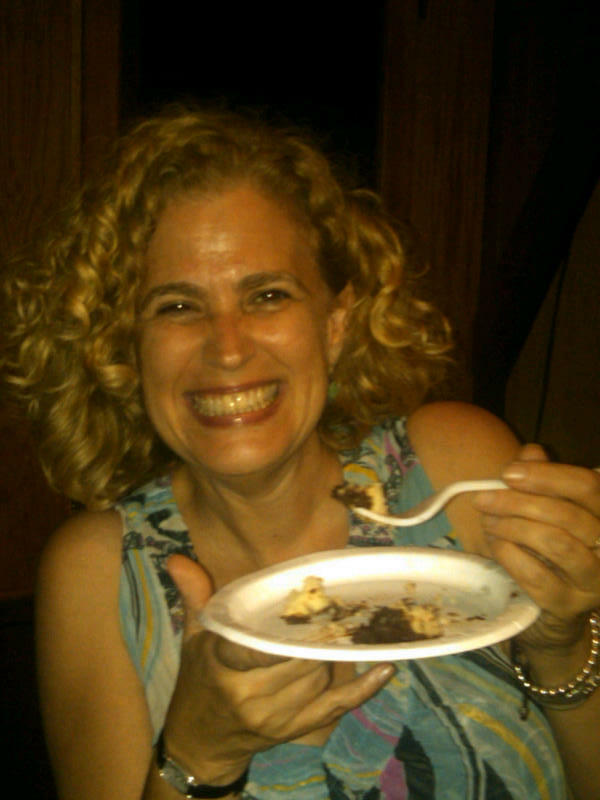 Among the guests at the party was Suzanne Wasserman (above, having her cake and eating it too), a filmmaker and historian who first told me about George's involvement with Henry Street. Thank you, Suzanne! For those of you who have read this far, I'll share a secret. I cut a slice of cake to photograph it. Determined to deliver a "whole" cake, I slipped the slice back into place and covered the tell-tale cut lines with some extra frosting. And then packed up the "patchwork" cake and brought it to the party. And no one knew (except Suzanne, and only because I told her). very funny. i actually wondered how you could have cut a slice before bringing it to the celebration! i recognized your kitchen. 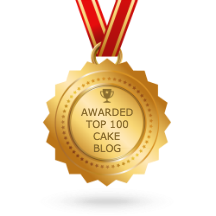 looking forward to trying this; yellow cake is my favorite. and the cake is yummy!!! 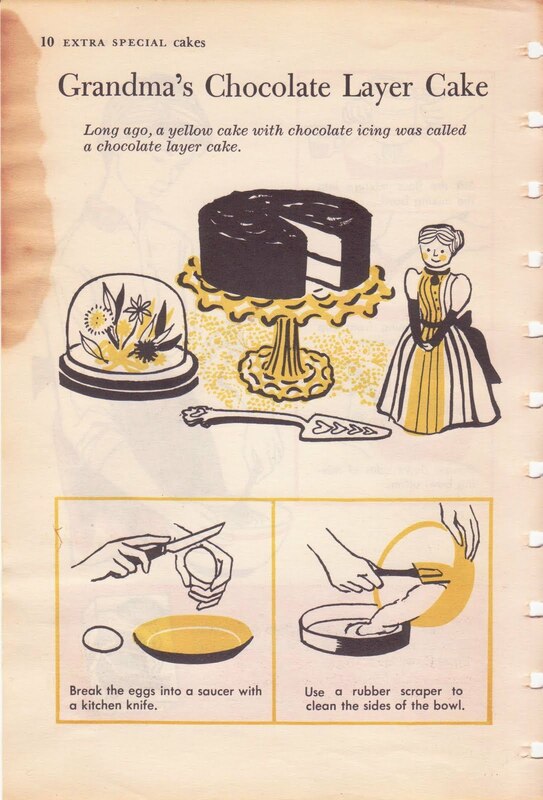 @Peggy: Now you know my secret, and do try this cake. It's truly wonderful. what frosting did you use? It looks luscious! @Anonymous: I "cheated" and used a modern frosting, since I still haven't mastered vintage recipe chocolate frosting. 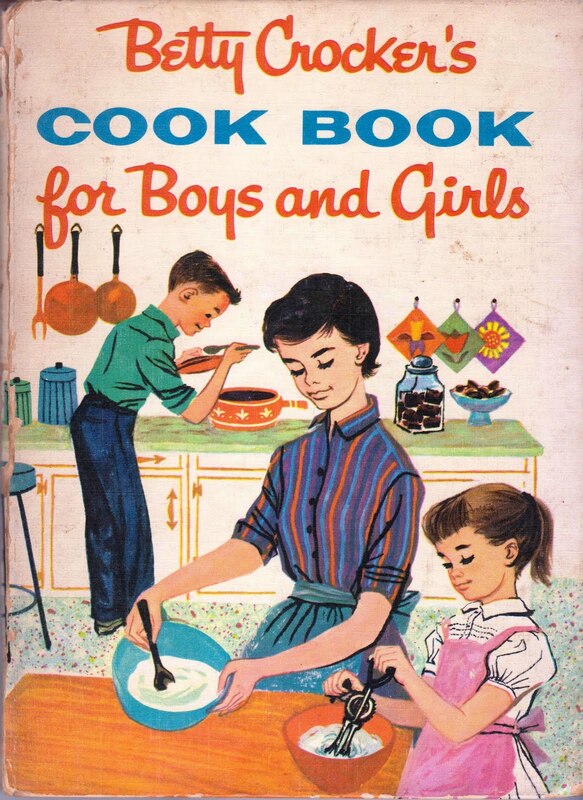 The recipes sound too odd, or doomed to failure. Anyway, this frosting is the milk chocolate buttercream from The Cake Bible. Basically, you melt 1 lb. of high quality milk chocolate and 8 oz. 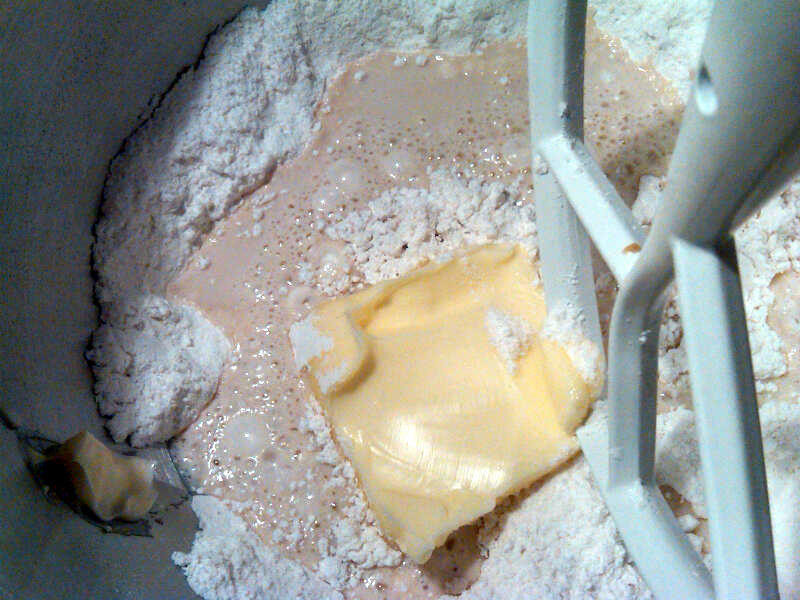 of bittersweet (don't let it get too hot), and after it cools whip it with 12 ounces of softened butter. Delish! 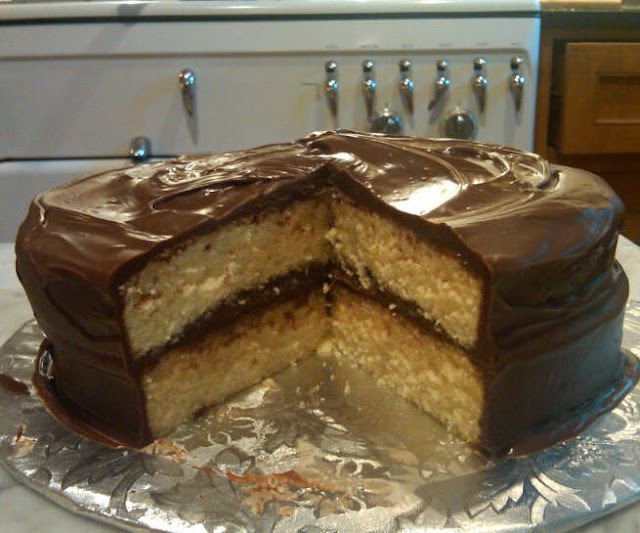 Chocolate layer cake is one of my favorites. 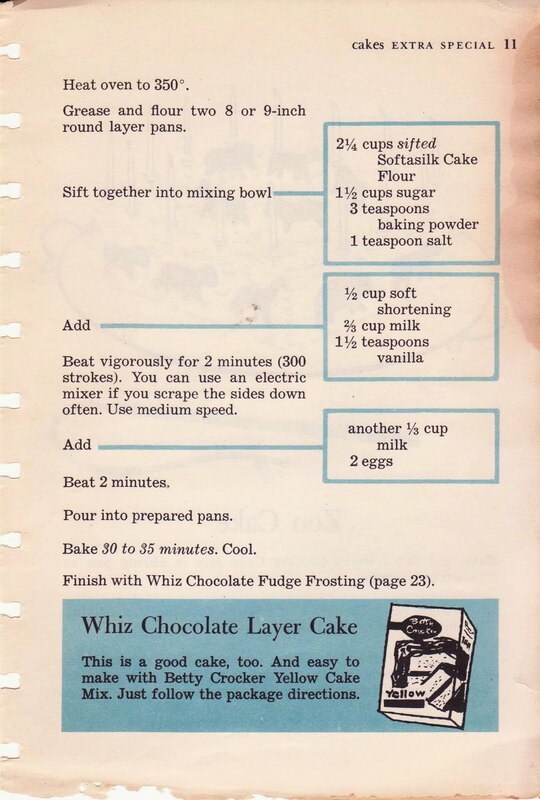 I usually use a yellow cake mix, but I am tempted to try this recipe. Yum! The recipe calls for shortening, but did you use butter? This is just an iconic cake. It just screams AMERICANA at you! Nostalgic 1950's lip smacker! 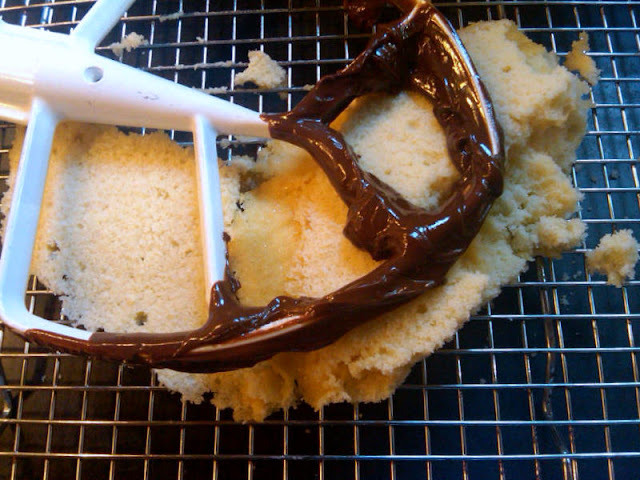 @Melba: This is almost as easy as a mix, and twice as satisfying! @Anonymous: Yes, I always use butter in place of shortening for a couple of reasons. Shortening was specified in many because it was cheaper and more plentiful but butter has much more flavor. Further, the formula for shortening has changed so much (like Crisco eliminating transfats) that being "true" to the recipe and using it would create quite a different result, I'm afraid. I always use unsalted butter and try to use Plugra when I can, which is a high fat European butter that's just delicious. @SugarBeam: You are so right! Thanks for commenting.